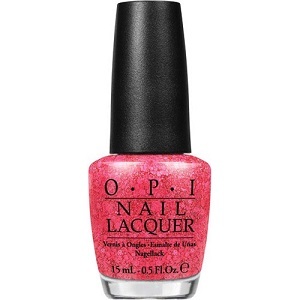 OPI Nail Polish, On Pinks & Needles, NLA71, .50 fl. oz. Glitter topper with multi-sized hot pink matte hex glitter in a clear base. OPI Brights Collection, Summer 2015.